So about a year ago, right around the time, the Mega Knight came out, I was struggling. I was stuck at Jungle Arena with an outdated Giant-loon deck. But I had hope. I had recently bought a Legendary Chest and got the most overpowered card in the game at the time: Mega Knight. But I struggled to find a deck that worked with him. But then, with some help from the community and my clan, I made a monster of a deck. It’s a bit outdated at the moment, but it’s still a viable deck in the current meta. 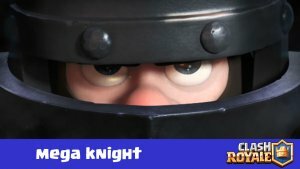 Mega Knight- This is your 2nd best defensive unit. He will take care of most units that your opponent with the throw at you. And afterward, you have a Mega Knight leading the counter push! Goblin Barrel-The backbone of your deck, this is your main offensive unit. 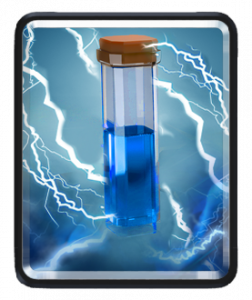 Throw this any time you know your opponent doesn’t have zap/log/arrows in the rotation, but be cautious of units like the wizard, as they can still that out the goblins easily. Guards-one of the best defensive units in the game, these guys recently got a damage buff, so they’re great on defense, and their shields mean that they can take an extra hit or two. 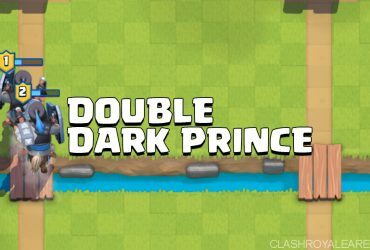 One of the best counters to Pekka that exists! Zap-Not really much to say. In my opinion, the best spell in the game. Reset buildings and troops. Take care of air and ground swarms. Weaknesses-low damage, so no one-shotting minions and stab goblins unless 2 levels higher. 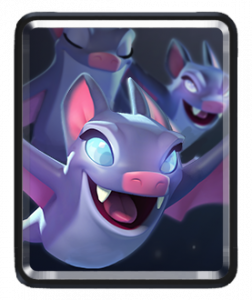 Bats-When the phrase “flying skeletons” is said, think of these! They’re exactly like flying skeletons. Good dps, but low health. But hey, they fly! Weaknesses-all spells, basically anything that hits the air. 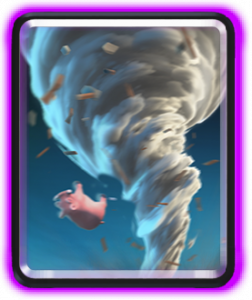 Tornado-The perfect card to compliment the Executioner, this is low damage, very versatile spell, it can drag units around and controls the match very well. 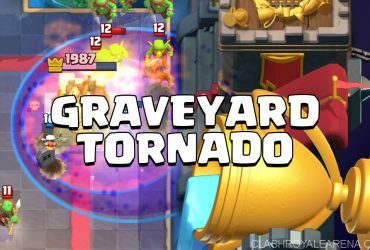 You can even use it to activate your king tower to get an advantage! Weaknesses-low damage, can’t move a charging prince/dark prince or a golem very well, as they are heavier/faster moving units. 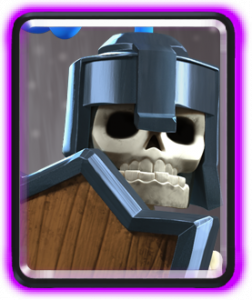 Executioner-Godly against swarms and perfectly complimented by the Tornado, this card is your main defensive unit. Able to do double damage out to an amazing 11 tiles, he’s a must behind any tank. Goblin Gang– Just like the description says, it’s a goblin value pack. Good against tanks and essential for bait decks, don’t be afraid to place this by itself to bait out the opponent’s spells! I will also include a guide on how to play the deck throughout a match. This is a mainly defensive time in the match. Try and feel out your opponent’s counters to your goblin barrel. DO NOT START A PUSH IN THIS PHASE OF THE GAME. It can only hurt you, as you can reveal your cards and drain your elixer before you know what the other person has. This is the stage of the game where you can start being a bit more aggressive. Throw your barrel every once in a while when you know their spell is out of the rotation. Still, a push is not recommended in this stage. End Game/Sudden Death: Be very aggressive with your barrel. If your opponent makes a mistake with their spells, PUNISH THEM. If you can start a push. 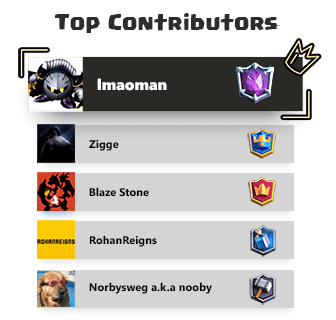 My username on Clash Royal is Unfriendly Fire. Come and check out my clan- UltraInstinct2. 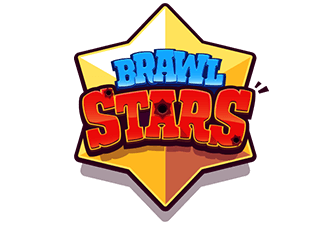 We are currently looking for people in Arena 12+.